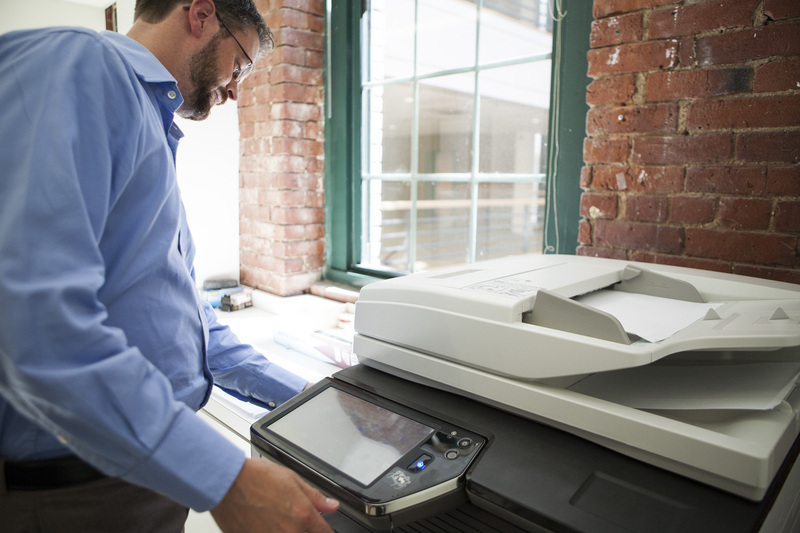 Laser vs Inkjet: Which Type Of Printer Is Right For You? When it comes to choosing a printer for your home, the options can be overwhelming. First, you have to decide which manufacturer you want to go with. On top of that, you have to pick between numerous models. It can be intimidating to compare that many printers at once, which could lead to you not feeling confident in your purchase. So is there an easier way to decide which printer would match your needs? Of course! When choosing your new printer, start the process with a mere two choices: laser or inkjet. Laser printers use a powder filled toner cartridge and a fuser unit that bonds the toner to the paper. Because these printers use a fine powder rather than ink, those dreaded messy spills are not an issue. Laser printers are great for printing high quality text documents at a noticeably faster pace when compared to an inkjet printer. Laser printers do have a higher initial cost (on both the actual printer and toner cartridges), which can discourage buyers. However, they do have a lower cost per page. For those looking to print a high volume of documents, the laser printer would pay off in the long run. The inkjet printer uses liquid ink, which is sprayed through microscopic nozzles. For high quality pictures with vivid colors and high contrasts, ink is the better option. Compared to the laser printer, inkjet printers are smaller in size and more versatile. The option to print on multiple surfaces, such as photo paper or fabric, is an attractive quality for most shoppers. Buyers also appreciate the lower cost of the printer and printing materials. However, with an inkjet cartridge, the cost per page is higher. And of course, you are subject to messy ink spills when removing and replacing these ink cartridges (which you will have to do more frequently than toner). Once you’ve decided what type of printer (laser or inkjet) will work best for your needs, you still need to decide between a basic document printer, photo printer and an All-in-One printer. Depending on your needs, this should be a fairly easy decision. If you know you are going to be printing out a lot of pictures, a basic document printer will not work for you. If you work from home and also would benefit from having a copier and scanner, the All-in-One option may be the right one for you. Don’t let the amount of options intimidate you! Narrow your choices down before starting the buying process and you will be printing with confidence in no time! Was this post helpful? If so, be sure to tell us about it. To keep track of future interesting posts like this one, subscribe to our newsletter. To find the best ink and toner cartridge deals, like us on Facebook or check out the best printer cartridge deals currently available.